For its fourth New York edition, 1-54 has invited artist Azikiwe Mohammed to design the fair’s lounge. This project is presented in partnership with Pioneer Works. 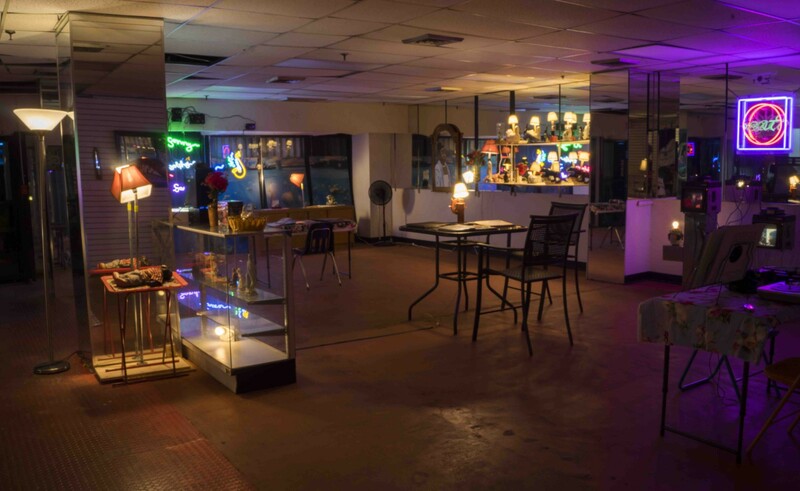 The lounge is an extension to Azikiwe Mohammed’s New Davonhaime project. New Davonhaime is an imaginary town designed as a space space for African-American citizens, its name is the result of a linguistic concoction of the five US cities with the highest density of African-American residents. In interview with 1-54, Azikiwe Mohammed shares insights of his practice and the ideas behind his installation. Don’t miss the chance to visit the lounge with a brief presentation by the artist, during 1-54 New York on Saturday 5 May at 14:30, register here. What was the starting point of the project ‘New Davonhaime’? 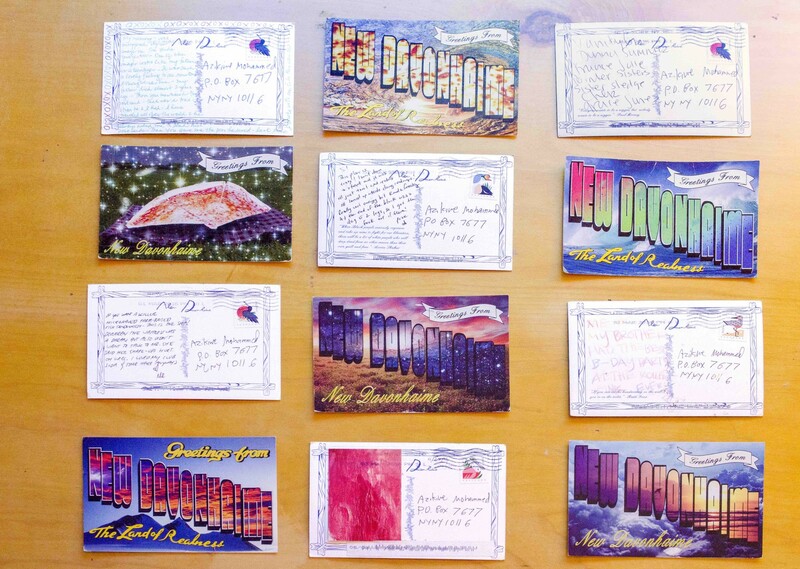 New Davonhaime started two or three years ago with a series of postcards. I had grown tired of my own answers as to why things were un-righteous and I wanted to hear from others. 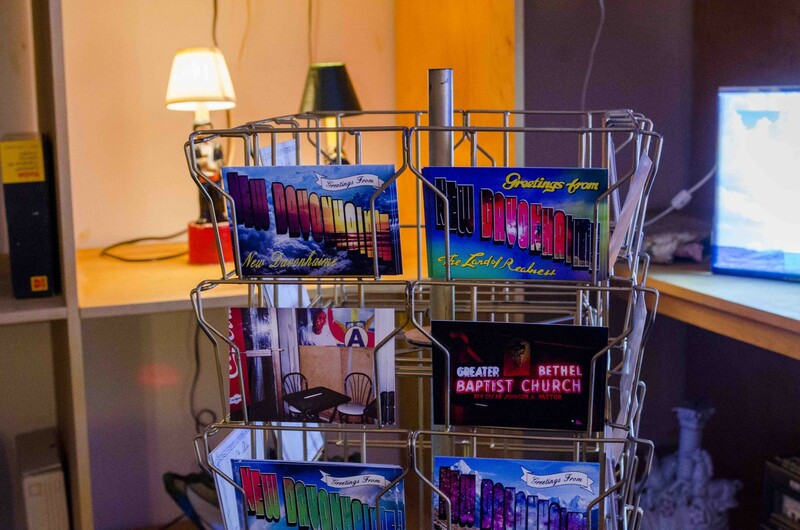 I made postcards in a traditional American format and when handing them out I prompted people with: What is something you are tired of here that you would like to get in this other place written in the form of a memory of your visit to New Davonahime. Based on their answers (now a collection of memories of the visitors of New Davonhaime) I was given a better idea of what New Davonhaime looks like. I create the landscape and the items of New Davonhaime according to other people’s questions, ideas and thoughts. You often work with notions of memory, history and with a variety of media from photography to installations. Can you talk about your artistic process? I start with an idea, not a medium and I make what that idea demands. If I don’t know how to generate said item I will try and learn. Many times, that includes me finding a manufacturer or artisan who has more experience in said practice. It is important to give an idea space to breathe in the mental and physical space it is intended for. If granted this space the idea will always feels more genuine. This feeling is paramount when dealing with abstract notions like memory and history. ‘New Davonhaime’ and other projects of yours touch upon the agitated social climate of these years, as well as on ideas of safety and the social perceptions of African American citizens. What are you trying to achieve with your artworks? These past few years have brought to light some of the problems the Black community here in the US (and abroad too) has been facing for decades. The idea to move, to build a new place because the old one doesn’t suit you anymore, we have been doing this since before our freedom. I have never known what it is to feel safe. Why as a child was there was a larger fear I could never meet? A fear I could never stare in the face? Why as an adult has this fear settled into my being and become part of my perception of self? Why do so many of my Black sisters and brothers know this same specter? I want to see what this looks like, not just for me, but also for all the others similarly haunted. Can we imagine a world without something that has been part of our lives for so long? The answer is an emphatic yes, and as I work I hope to walk toward that horizon. What do you think has been missed and lost in today’s ideas of Blackness? I would like to posit a counter question: what do I think others have gotten wrong about today’s Blackness? That it is temporary and this too shall pass. An object once set in motion as it were, and with the help of our ancestors we are moving more vibrantly than ever. Being part of the 1-54 Lounge, ‘New Davonhaime’ will be seen by many visitors coming from Africa and its diaspora, how do you think this installation will speak to the audience of 1-54? With my installation, I am hoping to add my voice to the voices speaking so loudly and beautifully within the fair. I aim to create a space for the ideas held there to move around even more. New Davonhaime is a place intended for ideas to gestate, and hopefully my offering at 1-54 will provide a physical and mental space to do just that.